Badgers win in overtime! Frey was taken out of the play by his own player, and Hughes takes advantage at 2:58 in OT. Play under review. This day has had a little bit of everything. You could cut the tension in this arena with a butter knife. 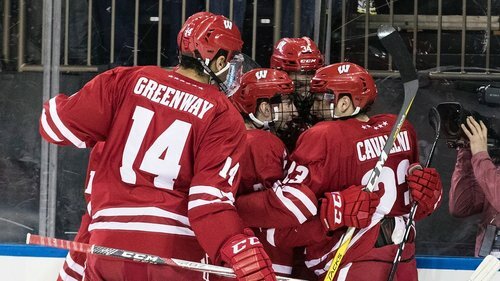 Cameron Hughes scores in OT and Wisconsin beats No. 8 Ohio State 3-2 at MSG. UW will start February tied for the top spot in @B1GHockey . The #Badgers beat Ohio State in overtime at @TheGarden ! Replay is over. Goal is official, and the #Badgers complete the sweep of Ohio State with a 3-2 overtime win. Goal counts. UW wins it 3-2. Varsity being belted out for the second time after OT win in MSG. More games to come in tonight, but @BadgerMHockey is up to 19th in the PairWise. Here's @BadgerMHockey reacting to decision of good game-winning goal.
.@BadgerMHockey has won 3 straight against top-10 teams for the first time since the 2012-13 season. 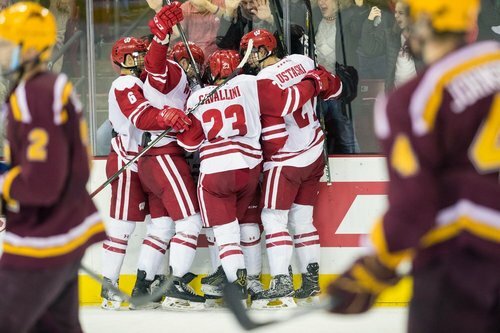 The last time @BadgerMHockey played 3 straight vs. top-10 teams and won them all: Near the end of 2009-10 season. FINAL: Wisconsin 3, Ohio State 2. OT. Next up: Buckeyes play at Michigan Feb. 3&4. Tied for first in the Big Ten. Tony Granato on the overtime win at Madison Square Garden: "@RMcDonagh27 and @DerekStepan21 will be happy about this one." 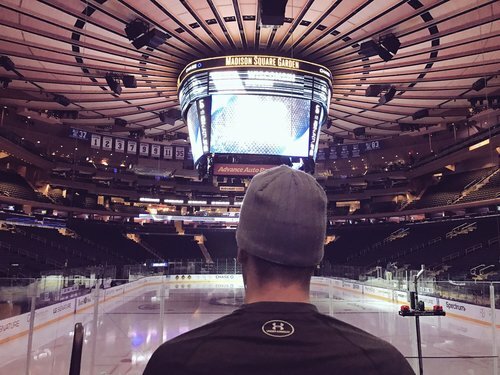 At this moment, Cameron Hughes might have been imagining what it'd be like to score a game-winning goal at @TheGarden .